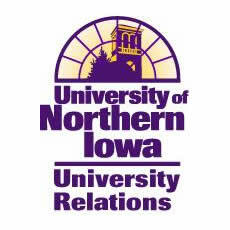 The University of Northern Iowa provides a high quality and diverse educational experience, purposefully guiding students to find and develop their strengths and prepare them for success after college. Building on its historic excellence in teacher education, the university has developed outstanding programs in business, natural sciences, humanities and fine arts, and social and behavioral sciences with advanced degrees available in many programs. One of three state universities, UNI enjoys national recognition for its high educational standards. U.S. News and World Report ranked UNI in the top three among Midwest public universities for the past 17 years. The university’s size -- just more than 12,100 students -- allows it to offer faculty, facilities and academic choices of a large university, while retaining a friendly, small-college atmosphere on a compact, park-like campus. With more than 40 major buildings on 940 acres, the campus can still be crossed in an easy 15-minute walk.